Last week I found myself in need of a fun and flirty drink that could quench the needs of about 50 people. I don’t drink alcohol, so it had to be rid of any ingredient related. I’m not a huge “drink” drinker, I get kinda boring when it comes to the topic actually. I love water! I know that makes me lucky to not have the temptation! But anyways, my lack of adventure left me clueless as to what to make. 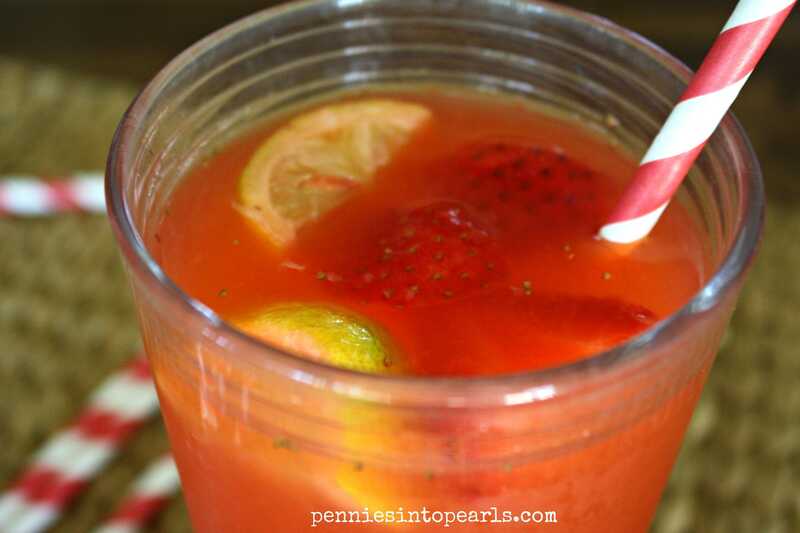 It was suggested to me to make some strawberry lemonade. That sounded perfect! Strawberries were on sale and there never seems to be a shortage of lemons around here. Between our tree and trees that our family members have, we are super blessed to have a surplus of this tangy citrus on hand. And you need a lot of lemons for this drink! Using fresh lemons I think makes a big difference in this recipe. It admittedly is a bit of work juicing 2 cups (or 4 cups in my case if you are doubling the recipe) of lemon juice but it is most definitely worth it! I really need to invest in one of these handy citrus juicers. I am always wishing I had one in my kitchen! Start by juicing your lemons. The number of lemons you need depends on how juicy they are. Tip: try gently pressing down on the lemon (before slicing) and rolling it around to try and loosen up the juices before slicing and juicing. I have also heard that putting the lemon in the microwave for about 8 seconds before juicing can help get some of the goodness to come out easier. Once you have your lemons juiced, you are about 90% done with the prep-work. It’s all easy peasy down hill form there. After rinsing off your strawberries, cut off the stems and blend them until they are super pureed. No lumps! Now combine your lemon juice, strawberry puree, and sugar in your pitcher. 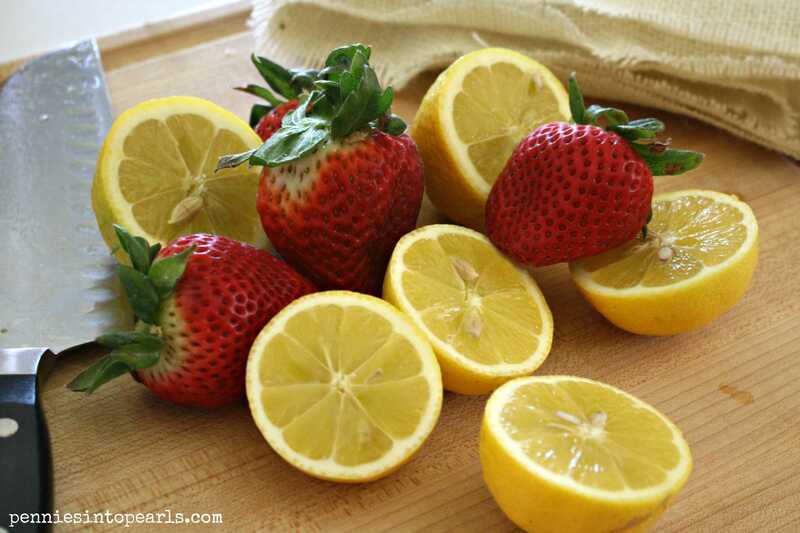 If you don’t like pulp you can always strain your lemon juice and strawberry puree before combining. Mix well until the sugar is completely dissolved. Then slowly mix in your water. Done! Now pour yourself a nice glass with ice and you are set to welcome in spring! After rinsing your strawberries, cut off the stems and puree. Strain for seeds if desired. Combine strawberry puree, lemon juice, and sugar. Mix until sugar is completely dissolved. Take a peek at where I like to share ideas and find others on my Link Parties page. Thank you Sarah! You are super sweet! I agree about your 70 degree rule! It just makes all things springy that much more enjoyable! We are going to be in the 90’s this week… Yikes! Thanks for stopping by! This looks good! Makes me want the warmer weather even more! Oh I cannot wait to try this! It looks so delicious– we have some spring celebrations coming up so this will be just what we need. It really is so easy to make which makes it perfect to double and serve for a bunch of people. I doubled the recipe, served over 50 people, and still had a little leftover. Enjoy! Thanks for stopping by! 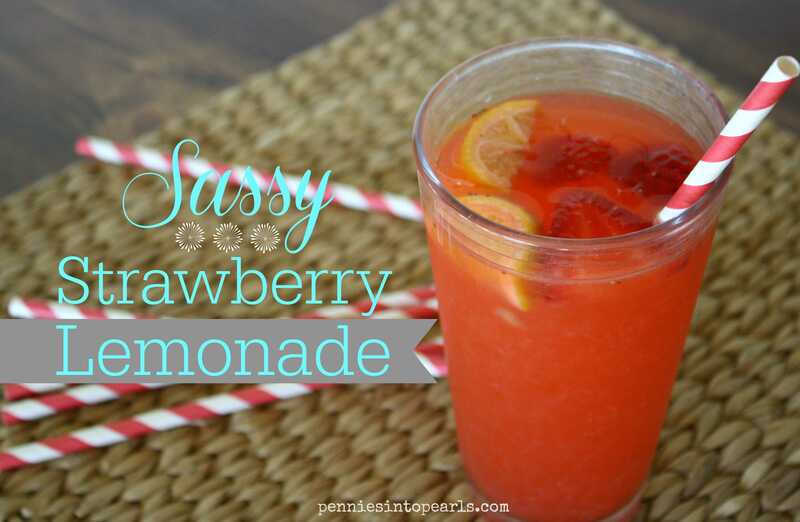 This sounds so refreshing and delicious especially on a hot summer day! 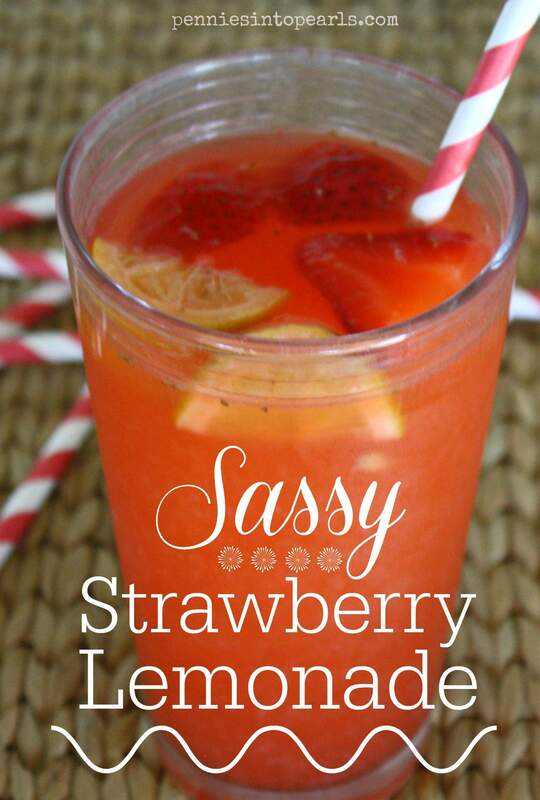 Oh, I love strawberry lemonade, but I’ve never made it myself. This looks so good and yes, bring on summer NOW! 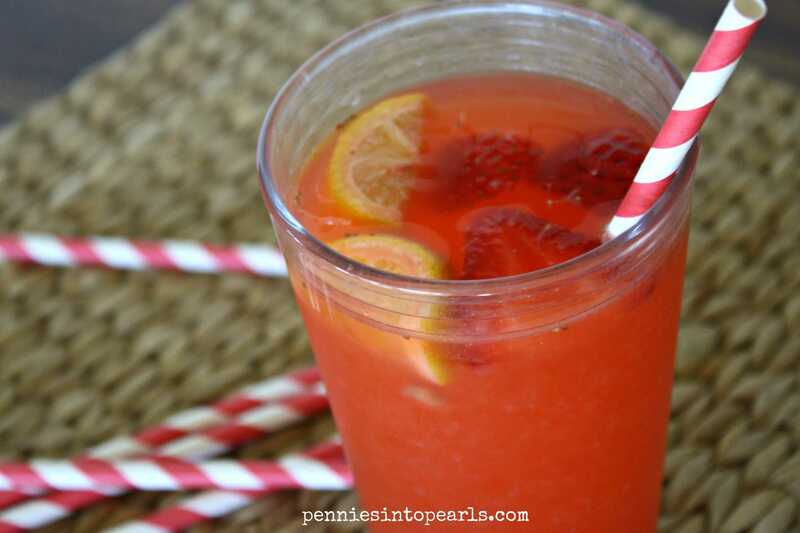 This is such a refreshing drink! We were drinking it when it was raining out side and still loved every drop! haha! Thanks for stopping by Lydia! This is definitely going on our Easter Menu!! Yum! !